A set consisting of a ceremonial event carpet runner available in red, blue, green, pink, purple, and black; two polished brass stanchions; and velour stanchion rope. This is the ideal kit when it comes to crowd control accessories. The kit includes a carpet available in sizes ranging from 3 feet by 10 feet to 6 feet by 30 feet, with every combination in between in increments of 5 feet in length, a pair of brass stanchions standing 41 inches tall, and a fine velour stanchion rope. The importance of crowd control at any ceremony can never be underestimated as it is the core or organization. The best way of ensuring optimum crowd control is having the right equipment to enact your predetermined plans. 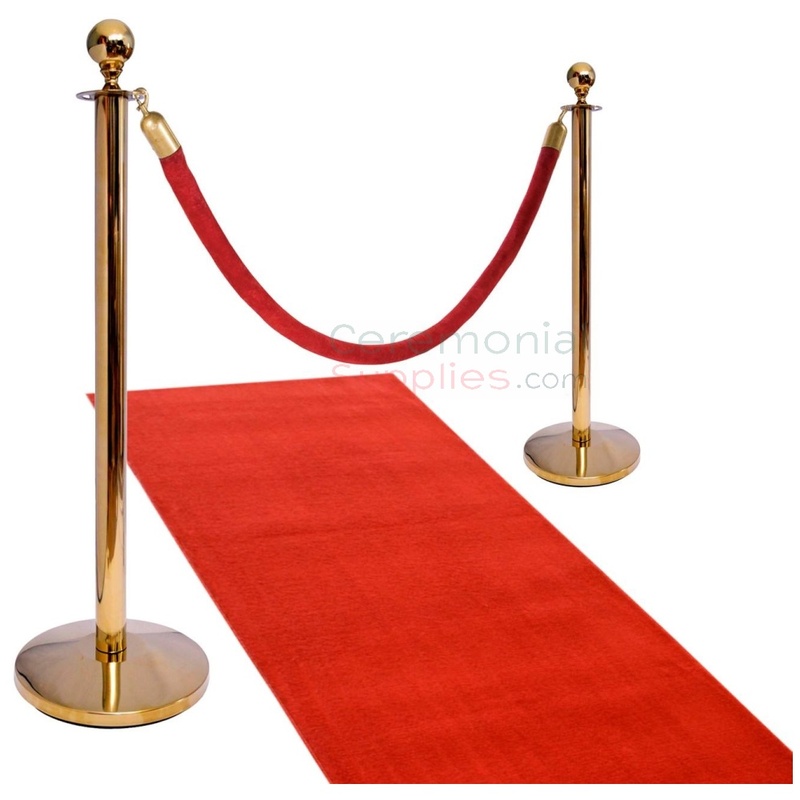 Traditional items for crowd control at a ceremony include a carpet, stanchions and ropes--the Ceremonial Crowd Control Kit combines them all into one kit featuring high quality samples of each, and thus save precious time and money that would otherwise be spent on finding the right ones. For more such kits to take care of various aspects of your grand opening ceremony, peruse through CeremonialSupplies.com.